Dato Kim is the Chairman of SpringHill Management Ltd, a venture capital fund management company specialising in life sciences and social venture capital investing. He is a director of a number of in the UK, USA, India, Malaysia and South Africa. 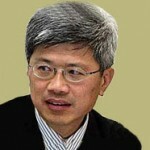 He is a board member of the Asia Pacific Economic Cooperation (APEC) Life Science Forum. He is a co-founder of the Transformational Business Network (UK), the charity with social transformational businesses in developing countries and the sponsor of the Kuzuko Game Reserve (South Africa). He is a former director of Saracens Rugby Club and the co-author of ‘Fighting Poverty through Enterprise’. He has a PhD in biochemistry and is a Fellow of the Royal Society of Medicine (UK).